Here in multicultural Birmingham many of us live or work alongside Muslims, but never get beyond a superficial friendship and find it difficult to talk about our faith. How can we overcome these barriers? 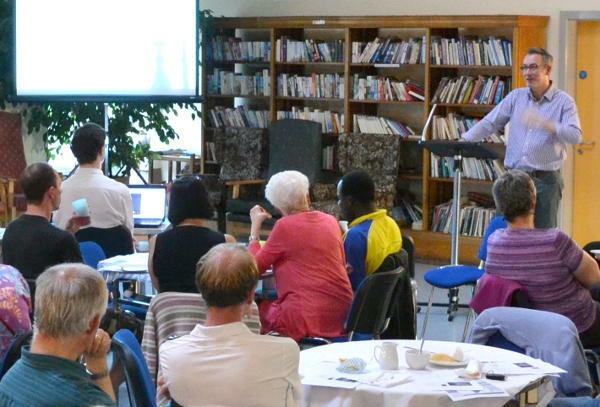 We welcomed Richard Sudworth, minister at Christ Church, Sparkbrook, to lead our discussion at Cafe Church. This entry was posted in Christian living, Services on June 22, 2014 by Phil.